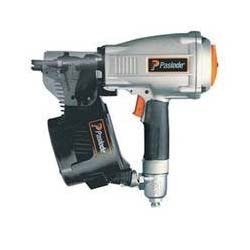 Supplier & Distributor of Pneumatic Nailers. Our product range also comprises of Material Handling Equipments, Packaging Machines and Pouches Machine. We are engaged in offering Pneumatic Nailer, used specifically for making straight lines in construction needs. As designed & developed in accordance with the industry approved norms these nailers are high performing and superior in quality. Offered products are used for marking straight lines. Prices offered are reasonable and we make delivery in a convenient way.